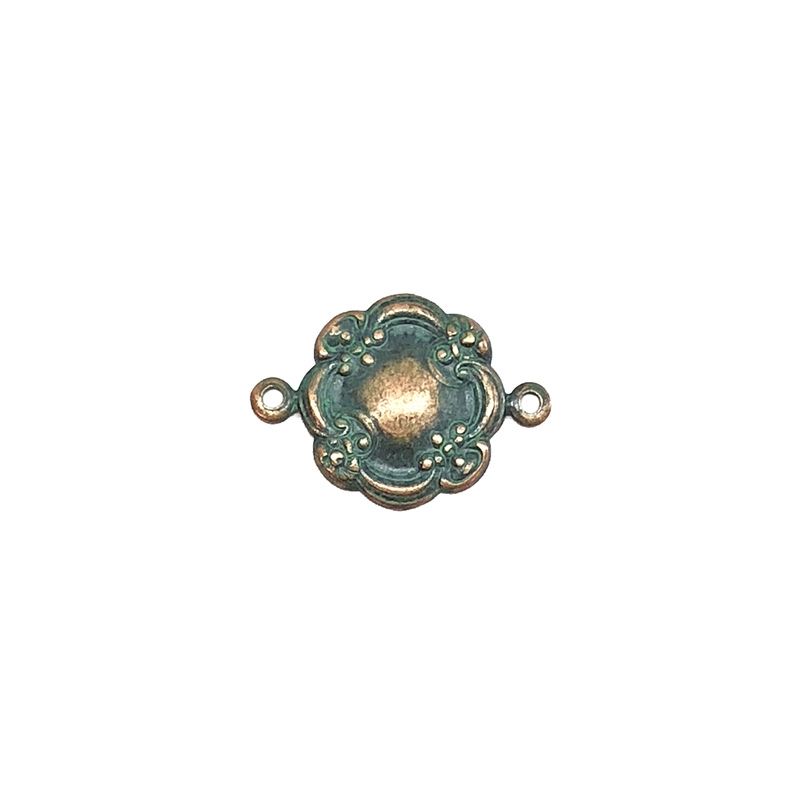 Floral connector, aqua copper patina, connector, brass connector, charm, brass stamping, US made, floral. Victorian style design with a slightly dapt center to give dimension with holes on both ends. Measures 14mm (without holes). Sold by the piece.